few hitches along the way, which in turn will only heighten the fervour factor. 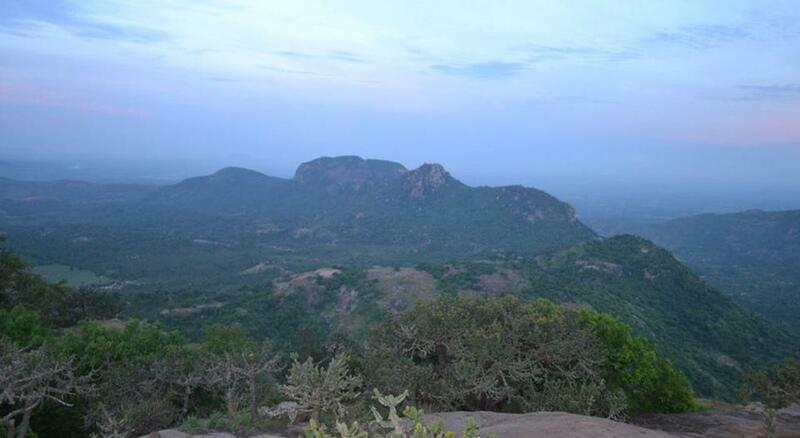 Start for the kabbaladurga night trek at around 9:30PM from Bangalore, a list of pickup points lets you choose a nearest one to board. Kabbaldurga trek is filled with slanting and rough pathways to crude steps etched out on steep rocks and supporting rails, where one must use his/her entire body to advance up. Night's spooky charm is sure get hold of you. And the tough climb pays off as the view from the peak is magnificent. Watch the stars glitters or find them peeking on a cloudy night. Absorb the warmth from the bonfire or curl up against your blanket or speak your heart out to your friends and enjoy the tranquil night. As the dawn breaks in, you can explore the area and prepare to descend. Do make sure to wear shoes with good grip, else the polished and slanted pathways will definitely give you a hard time and comfortable clothing to provide you full flexibility through the trek. Escape2Explore Adventures is not just one of Bangalore's leading adventure travel companies, it's a hub for all nature lovers, adventure enthusiasts and those who just need a little escape from their monotonous routine of life to explore outdoors.